Aaeru, often called Aer, is a brash young sibylla who joins Chor Tempest as one of three replacements for combat losses in the first battle against Argentum. 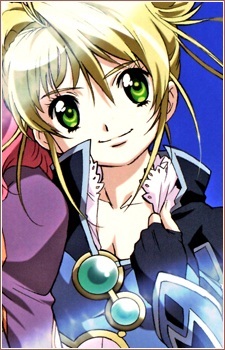 She immediately takes a liking to Neviril, and pushes to become Neviril’s new Pair after Amuria is lost. Aaeru fits the stereotype of the fighter pilot, and has little patience for the sibyllae’s role as priestesses. She volunteered for combat after serving as a cadet on the southern front, and possesses an outstanding flying ability. Normally, she flies auriga, whether it’s with Neviril or other sybillae. Her name means “the love of God” in the language of the neighboring mountain nation of Plumbum.